← Victory to the Outsiders? Yesterday afternoon, I stopped at a Starbucks and used an app on my smartphone to pay for a drink. Then I glanced at my email while waiting for the barista to finish my frappacino. I would not be doing any of that without the the US space program, which has reached the end of an era with the last space shuttle flight. For it was during the ten year “space race” to put a man on the moon, that miniturization of electronices found the means, motive, and opportunity to thrive. Intel opened its doors in July, 1968, a year before the moon landing, with 100 employees and a plan to make SRAM’s. Three years later, when they introduced the first microprocessor, the game was afoot. In hindsight, we can see that during the tech boom, the law of unintended consequences was operating full tilt, carrying many seeds of our current bust: the sophistication of the internet which enables the “offshoring” of hundreds of thousands of jobs even as ever increasing “efficiencies” allow employers to do more with fewer people. Beyond all practical considerations, the space program gave moments that those who lived through them will never forget. If you’re old enough, you probably remember exactly where you were and what you were doing when Neil Armstrong stepped onto the moon. 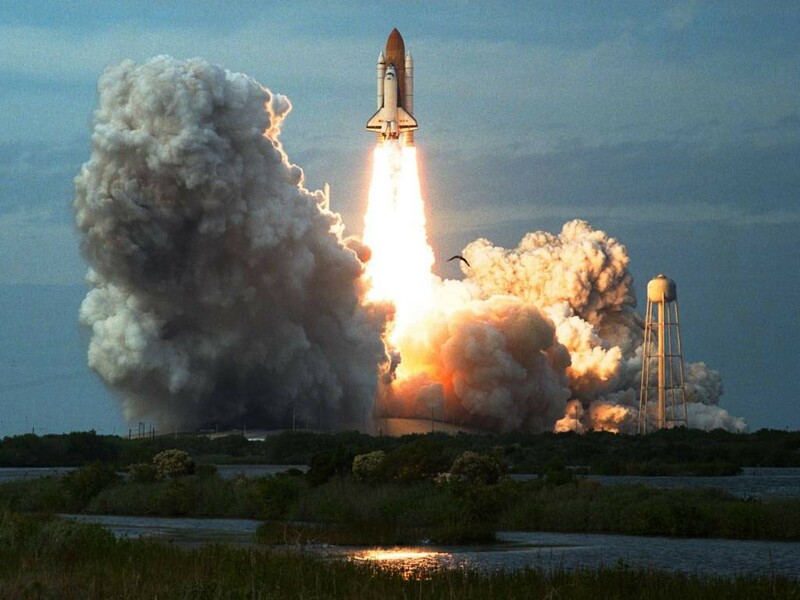 You probably also remember that beautiful day in January day when Challenger exploded. Who had any idea that the loss of that crew could cut so deep? We all know there are rhythms of expansion and contraction, of dreaming and the end of dreams. The stars aren’t going anywhere. Let’s hope we are able to stretch ourselves toward them again soon. This entry was posted in Culture, Current Events, Economics, Science and tagged Culture, current events, economics, postaweek2011, Science. Bookmark the permalink. Leave it to you, Morgan, to think of an aspect of losing the space program few of us would think of. You are absolutely right. Young people have far fewer things to dream of for their futures with this shut down. It is a great loss for everyone in our country, but especially the children. It was Adam Frank’s commentary that sparked the thought, along with my own memories of watching John Glenn’s flight on a little black and white TV with rabbit ears in a classroom. Inspiration and a “can do” spirit were in the air. How nice to read this post. Thank you for writing it. You wrote after the launch and I was inspired to write after STS 135 landed. I hope the thoughts we both wrote about don’t just linger but prevail again.